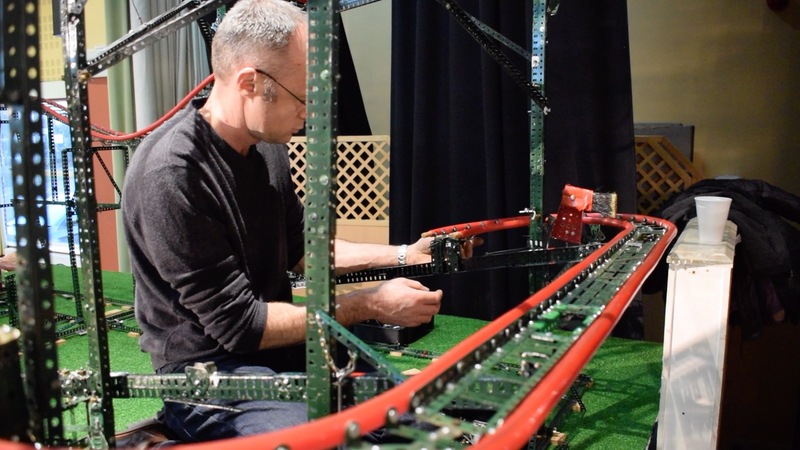 Watch as this huge working model of a Wild Mouse roller coaster is built up! 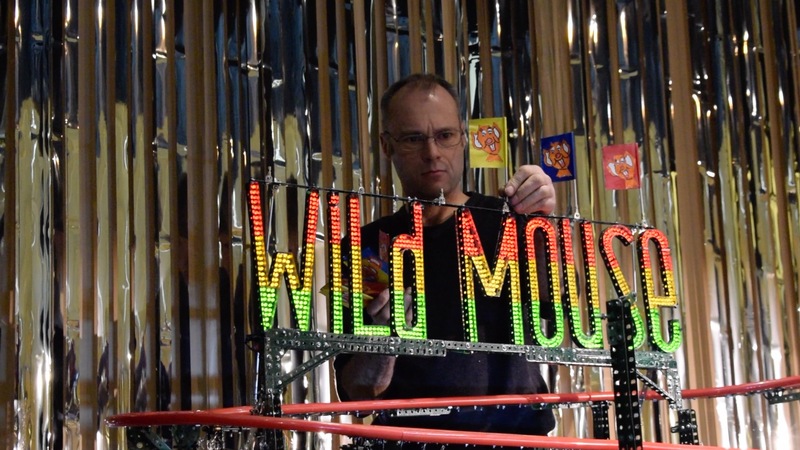 The Wild Mouse was built by father-and-son duo John and Michael Molden, and is based on the compact spinning coasters built by Reverchon. The model is fully functional and absolutely massive! 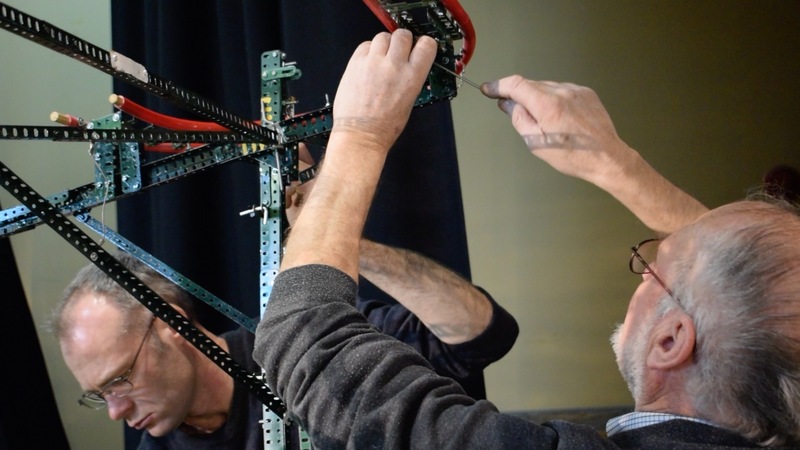 From start to finish it takes approximately four hours to set up the model. This starts with the installation of the purpose-built table, followed by the loading station, supports, track and then finally decoration. 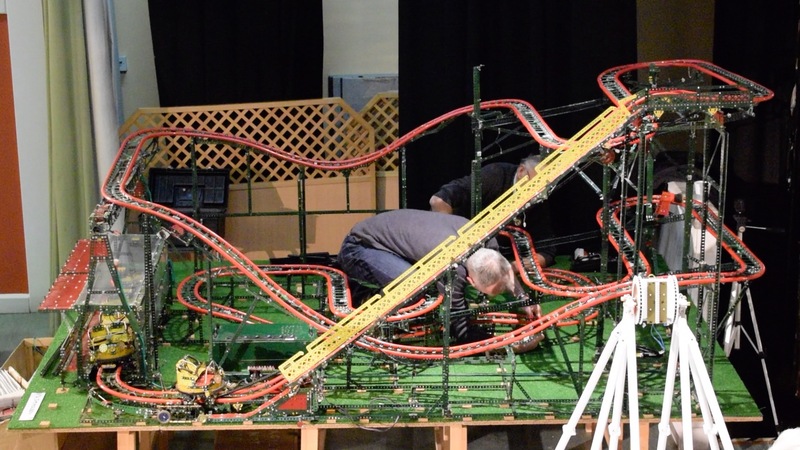 Each section of track is bolted into place every time the model is erected. Complete! 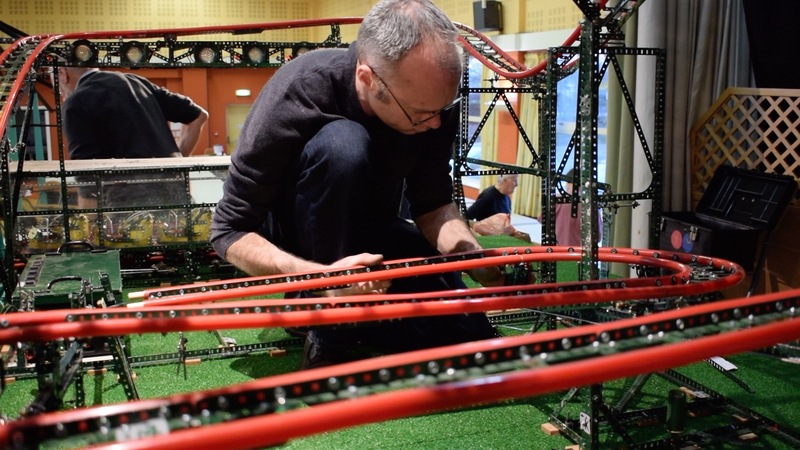 A superb model that is well worth making a trip to see. 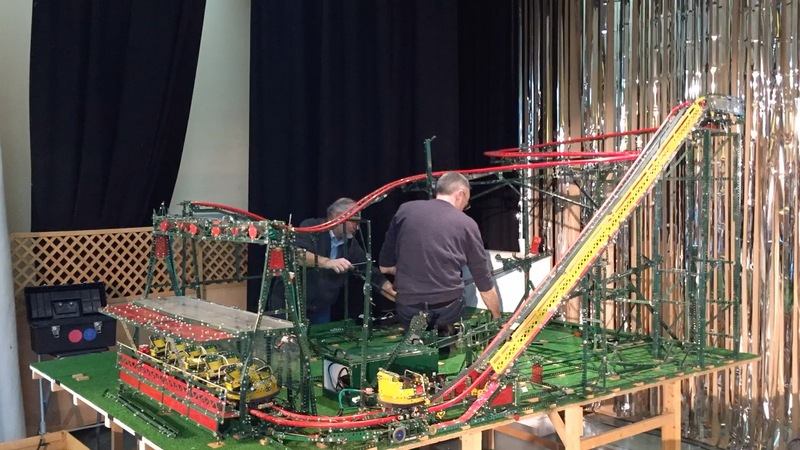 These pictures and videos were taken prior to the 2017 Funfair Extravaganza in Churchdown, but the model has also been seen at various other events throughout the UK. Tags: Family Rides, Models, Off Ride, Rollercoaster, Single Ride, Thrill Rides, Videos.